CHONDRITE FROM NEVADA., USA. A. J. Irving1, S. M.
tory, Carnegie Institution, Washington, DC, 20015, USA; 3Dept. Valley, southeast of Logandale, Nevada. 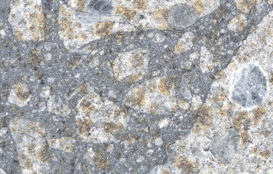 hedral, dark brown grains composed of serpentine/cronstedtite. thin veinlets filled with chalcedony. degassing small fragments under vacuum. drites, and is similar to those of other CM chondrites . chim. Cosmochim. Acta 63:2089-2104. Kuehner S. M. et al. 2007. Meteoritics & Planetary Science 32:A74. Weisberg M.
meyn G. W. 1988. Phil. Trans. Roy. Soc. Lond. A325: 535-544. 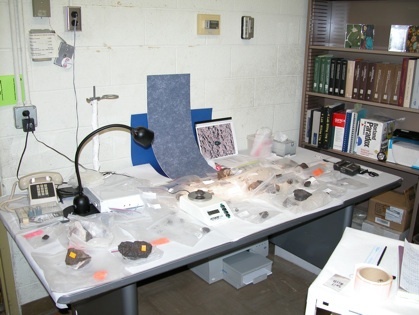 Over the years NevadaMeteorites has been working to provide new material and strewn field data for scientific study. 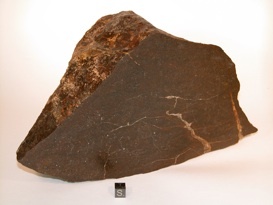 Some of the more significant meteorites include two rare finds in the United States. Blue Eagle well an R3-6 Rumurti chondrite and Moapa Valley a CM1 carbonaceous chondrite. Moapa Valley is being analyzed at the University of California Berkeley Space Sciences Laboratory for cosmogenic isotopes to estimate the cosmic ray exposure (or space) age of the meteoroid. CM chondrites all have fairly short CRE ages in the range 100,000 to 2 million years. Results are expected by early 2010. Another sample of Moapa Valley is being measured at the University of Arizona Accelerator Mass Spectrometry Laboratory for its content of carbon-14, which is produced mainly from oxygen atoms while a meteoroid is in space exposed to penetrating cosmic rays. After a meteoroid lands (and becomes a meteorite) and is shielded from cosmic rays by our atmosphere, carbon-14 decays away slowly to nitrogen-14, and the amount remaining gives an estimate of the terrestrial (landing) age. 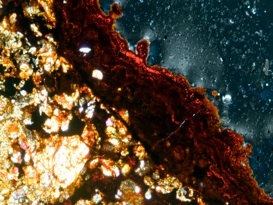 Because the half-life of carbon-14 is only 5730 years, this technique cannot be used for meteorites that fell over 70,000 years ago, but it is likely that Moapa Valley has a younger terrestrial age than that (perhaps 5,000 to 10,000 years). Results are expected within 3 months. * Cosmic Ray exposure or (space age) of Moapa Valley is 0.18 + / - 0.03 million years. * Carbon -14 Dating 2000 +/- 1300 years. Nevada desert to TCU’s Oscar E. Monnig Meteorite Gallery to be used for educational outreach.